Lobbying for more resources can seem daunting, especially when you are unable to identify how the education will lead to a great return on that investment. This presentation will teach you ways to understand, calculate, and communicate the ROI of an education expense at your facility. Michelle is currently the nursing director for practice development in the Central Adelaide Local Health Network, SA. She has been in clinical education and practice development since 2005. Prior to this, her roles included nurse unit manager emergency, after hours nurse manager, and clinical nurse. She has a background in emergency nursing, cardiology, and orthopaedics. Michelle has completed a Master of Nursing and has teaching qualifications and a clinical teaching graduate diploma. 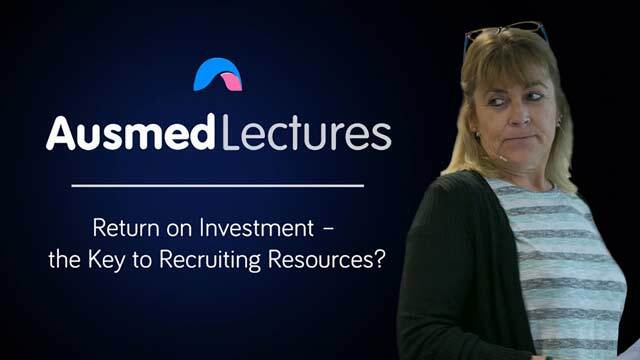 Michelle has presented at national and international conferences, has published academic papers, and has both practical and clinical skill sets. Michelle is the current national president of the Australian Nurse Teachers Society (ANTS) and a standing member of the Coalition of National Nursing & Midwifery Organisations Council (CoNNMO). One of Michelle’s many areas of interest is focused on facilitating growth and development of nurses of all levels, to achieve safe care environments that promote person-centred care. Very informative - highly recommended!